Remodel-Tile Bath - Summers Painting, Inc.
Large custom tiles around the jacuzzi tub with the mosaic inserts resulted in a striking decorative effect. 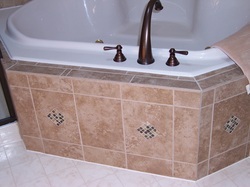 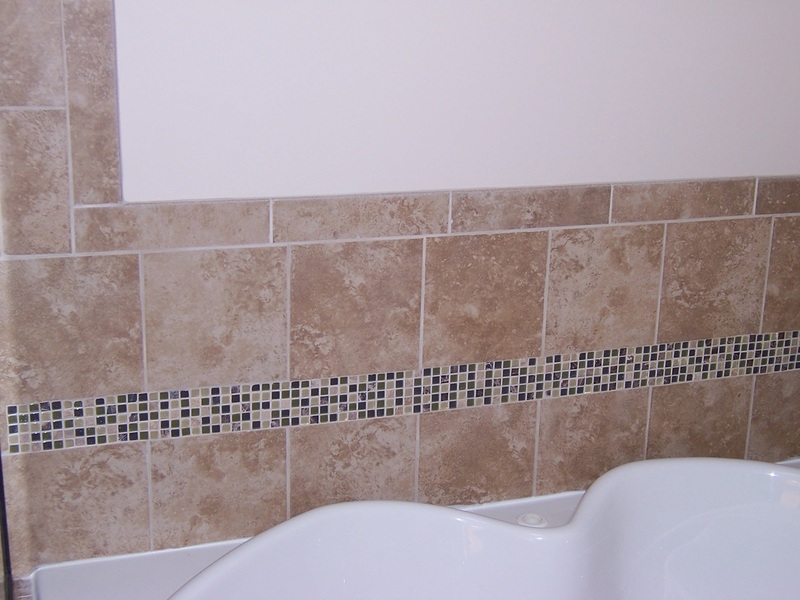 Tile flows from the shower around the tub. 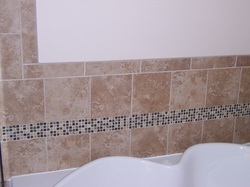 We created a mosaic by inserting multicolored glass and stone in the tiles. 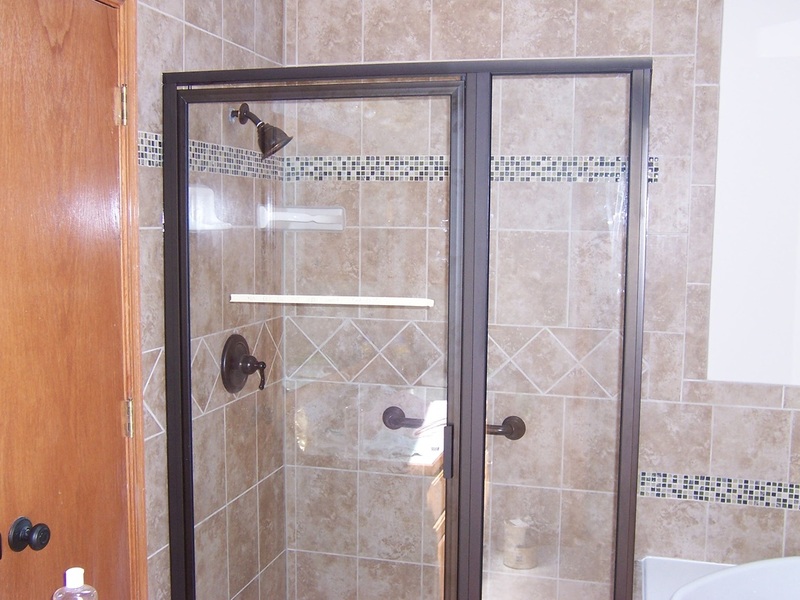 Clear glass for the shower doors make a smaller room appear larger and shows off the interior. Rubbed bronze shower head and trim. 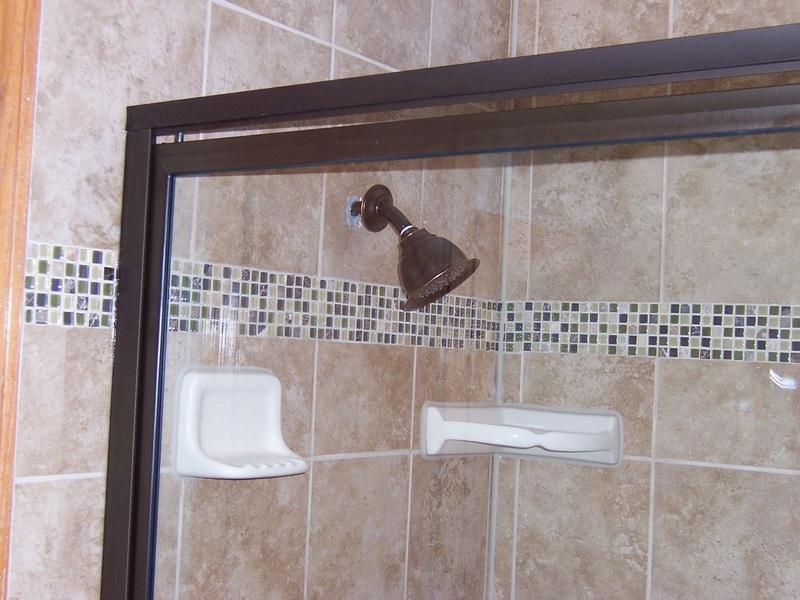 Custom tile through the clear glass shower. 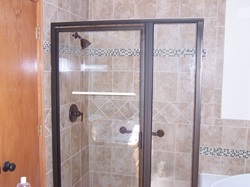 We finished up this project continuing with the brushed bronze fixtures for the safety bars at the tubs edge.